California basked in warm sunshine for its first February of 2018, bursting temperature records on Saturday around the San Francisco Bay Area. The mercury hit 78 degrees in San Jose, topping the previous Feb. 3 record of 74 on the same day in 2009. Temperatures at the Oakland airport hit 76 degrees, topping a Feb. 3 record of 70 in 1963. 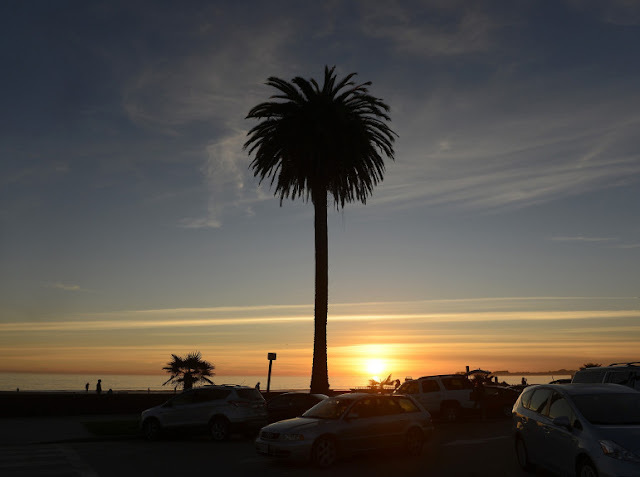 The thermometer rose to 74 in San Francisco, the hottest Feb. 3 since it was 71 in 1992, and it inched a little higher at the city’s airport to 76, beating a Feb. 3 record of 70 in 1984. And clear skies are forecast for the foreseeable future. The weather service said Saturday’s highs were as much as 15 to 20 degrees warmer than normal, and closer to what would be expected in late Spring. Sunday should see similar sunshine, but be slightly cooler, Dykema said. Elsewhere around the Bay, Santa Rosa hit 76, breaking a Feb. 3, 2009 record of 73 in 2009. Half Moon Bay was 77, breaking a previous record for the day of 71 in 1984. Moffett Field in Mountain View and Sunnyvale was 77, breaking a previous record for the day of 71 in 2015. Salinas was 81, breaking a previous record for the day of 78 in 2015. The highest record-breaker was in King City, where it hit 83, breaking the previous Feb. 3 record of 82 in 2009. 0 Response to "Temperature records fall as Bay Area basks in sunny February"